The SSV Taufers Handball invites you to the internationally reknown and certainly exceptional Snow-Handball Tournament in Sand in Taufers/South Tyrol. This years event will take place on the sunny south side of the Alps - beautiful views and perferctly groomed slopes garantueed! The one and only original of this increasingly popular variation of handball is played on the snow fields on top of Mount Speikboden, at above 2000m asl. U16 to U19 boys and girls. Groups will be assigned depending on number of registered teams. The playing fields are located directly beside the slopes of Speikboden ski resort, at 2000 m above sea level The tournament will take place regardless the weather conditions. The organizer offers very well prepared playing fields. The tournament organizer is able to offer some sleeping places at low prices, for example in the gym 'Sportzone' in Sand in Taufers or in surrounding multi-function rooms. These accommodations are limited though! - More accommodations in the nearby guest houses and hotels. 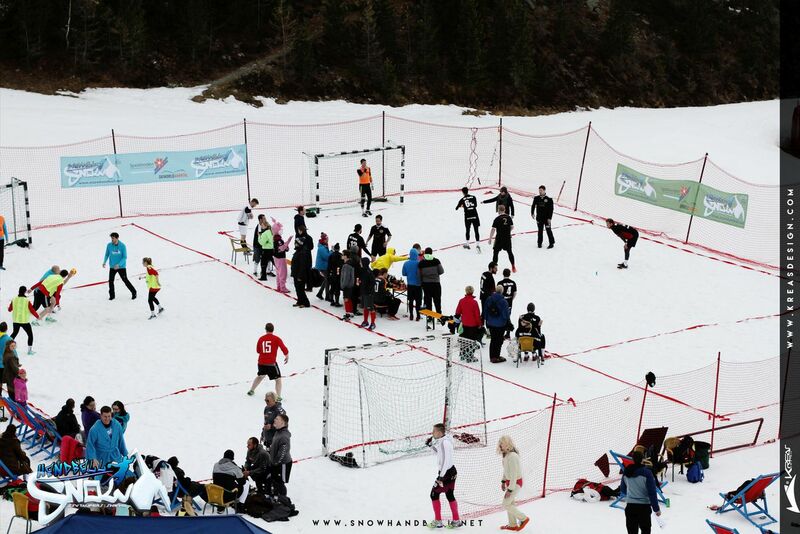 The first tournament on snow in Europe!